My blogging levels have dropped off somewhat as I’ve spent much of the last week drugged, and with only one functional hand*. This is because last weekend, I got into a fistfight with the forces of evil**. I won (obviously), but broke my wrist in the process. 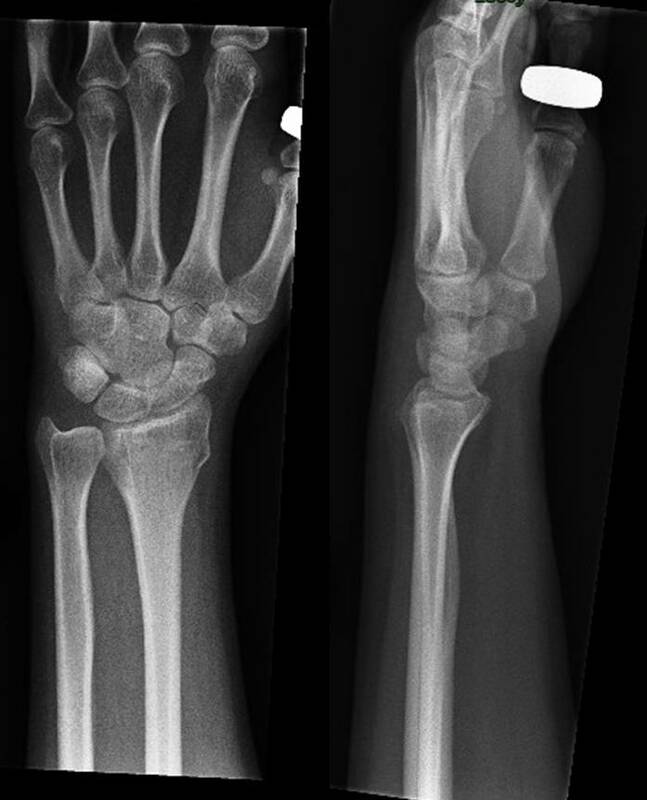 To be more precise, I have a buckle fracture of the distal radius of my left wrist, plus what looks like another crack. All of which adds up to some small amount of ‘eina’, and the huge encumbrance of a cast. Turns out, having only one working hand, and another which can’t get wet, must be kept at heart height etc etc makes life a little tiresome, and renders one surprisingly useless. ** That’s the official story. The unofficial one involves a bicycle.